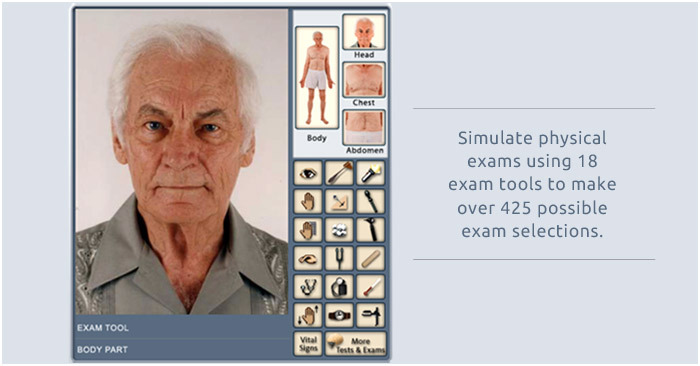 DxR Clinician is a powerful way to build clinical acumen. 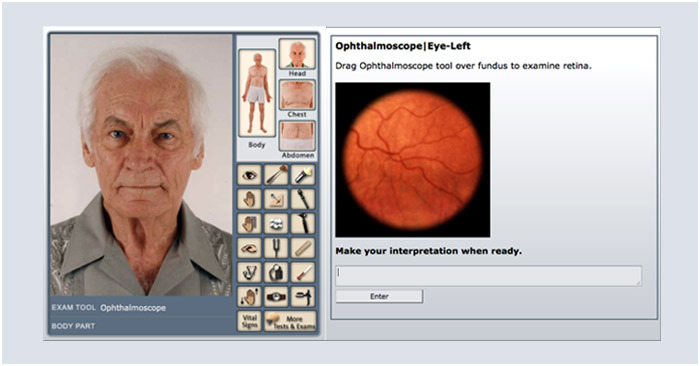 Real patients have been adapted to over one hundred interactive virtual encounters, covering a broad range of clinical problems in adult and pediatric medicine. Clinician is being used in medical and nursing schools all over the world, and is now being adapted for schools of chiropractic medicine and physical therapy. 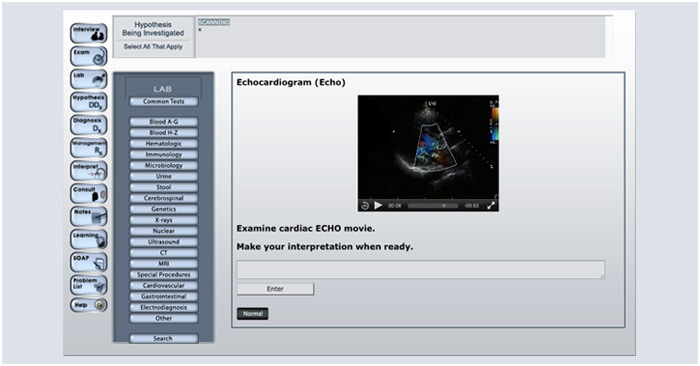 Students can interview the patient, do exams, and choose from a complete list of modern imaging, labs, and diagnostic procedures. They record hypotheses and test interpretations and ultimately make diagnoses and plan treatment. All of this is supported by sophisticated scoring tools. Watch a brief introduction to see how DxR Clinician can help your students develop critical thinking skills. DxR Clinician is available in Spanish, Japanese, and Chinese through our international distributors. Using the DxR Clinician software, our students begin developing clinical problem-solving skills in the first weeks of medical school. As students work through the cases, they learn about important diagnoses. 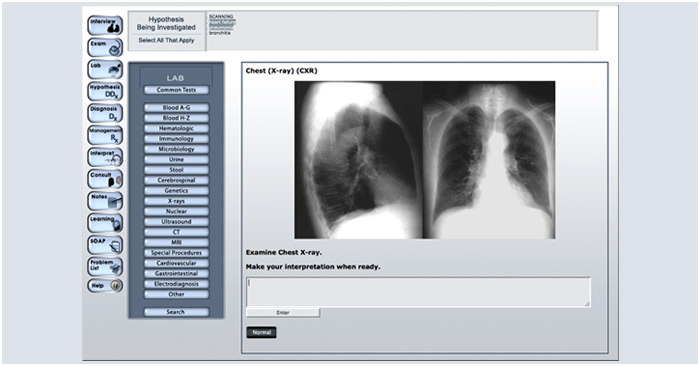 DxR Clinician’s evaluation software identifies common errors in their work-ups, allowing faculty members to address these issues directly with the students.